It all started when I got an email from my Westbeach guy Jon Cartwright about the "Ante up" contest at C.O.P in Calgary. 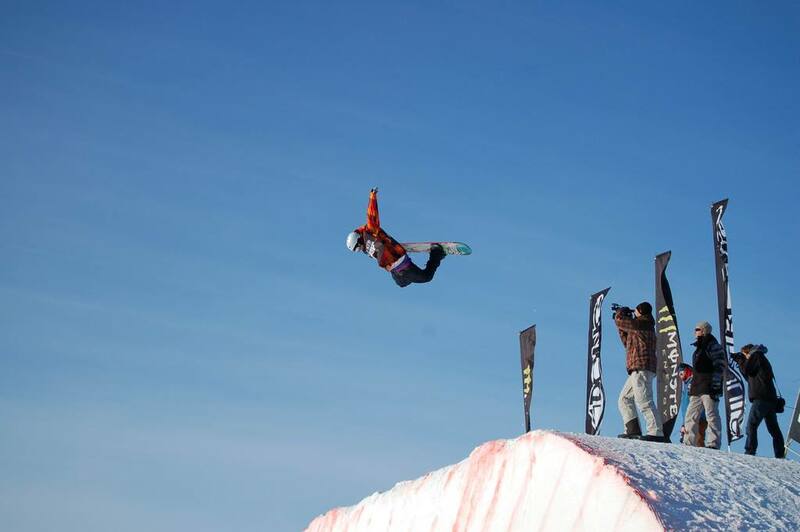 I did the contest last year and it was a good time, a slope style event with nice jumps, everyone from our snowboarding cirlcle was there, and alot of the industry people too. So I though Why Not? So we got a crew together, Mark Sollors, Hayden Rensch (filmer) and Russell Dalby (photog), and decided to drive out cause we planned on staying to hit some rails after the contest. We found out a couple days before leaving that the contest was turn into a 1/4 pipe contest... None of us are really into pipes but we had this whole thing planned out and we went for it anyways thinking "what the hell, lets just do it and then film some rails". The day we're leaving the Coquihalla Hwy is closed due to mud slides! so we have to go north through Whistler, Duffy lake road, which is fresh with snow and gnarly. We pulled these aussies out of the ditch with Russell's F-350. We finally get to Sicamous, and now Rogers Pass is closed due to Avalanches. So we meet up with our pal Jeff Patterson (Photographer). He's been stranded there for Days waititng on the road to open and he's telling us all about his crazy adventure. S0 we're checking the road updates every 20 mins. At midnight the road opens so we book it! Of course it's snowy and there's black ice everywhere but we powered through it. Got to Calgary at 5:30 am. Yes we drove through the night. So I'm super beat from the drive but still going cause of all the red bull I've been drinking. We sign up and it's time to practice... My practice was doing park laps and I called it a day. The next day, contest day, I was feeling 100 times better then the day prior. I practiced on the 1/4 pipe, it was going ok. Mark was killing it in his heat with b/s 7 and going bigger and bigger till he hit the deck and hurt his back. He made finals but couldn't ride anymore. I just made it through to finals after figuring out how to do b/s rodeos on the QP in the last 20mins of my heat. in finals I just tried doing the b/s rodeos as big as I could. then I started trying to bring them around to 7, but that didn't go so well. I hit the deck and sprained my wrist pretty good. But in the end I got 5th place and won a little bit of money so I was super happy with that. We were all injured after the contest so our rail trip didn't go as good as we wanted it. 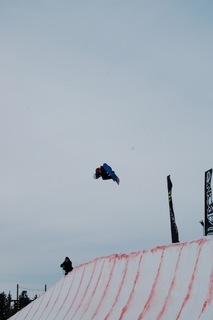 We brought Jed Anderson along with us to Edmonton and basically watched him kill it on every rail. We drove back on a sunny day, the roads were dry and safe and the scenery was sweet. Now Mark and I are recovering from our injuries. Thanks Evan Park for the photos!